It has just been confirmed that Italian songwriter-singer, Pino Daniele is dead at 59 years of age because of a heart attack. He became one of the most popular and famous artists of Italy when he fused the blues and jazz with his Native Neapolitan music. He was born in Naples to a working-class family and his father was a port worker. Daniele taught himself how to play the guitar and became a musician by playing for some of the successful musicians of the 1970s such as Pat Metheny, Eric Clapton, Chick Corea and Richie Havens. A day of mourning has been declared by the Mayor Luigi de Magistris of Naples in honor of the local hero. 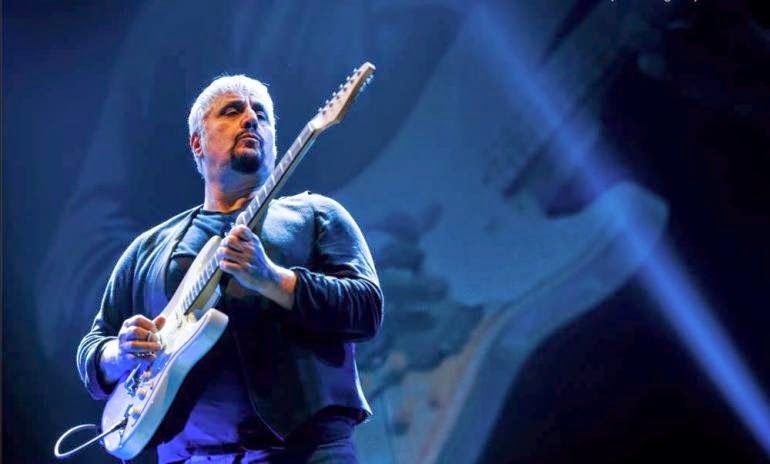 Matteo Renzi, the Prime Minister said Pino Daniele’s voice was amusing and he could still hear him as his guitar-playing ability had passion and melancholy that was tinged with rare sensitivity, which will continue to tell the whole world about their story. It was in 1977 that the singer made his striking debut in the Italian music market when he launched the album titled Terra Mia. This was a successful combination of Blues sound and Neapolitan tradition. Daniele used the term ‘taramblu’ for defining his music, which was a mix of rumba, blues and tarantella. The singer also worked for the Italian movie industry by creating the soundtrack for several films, which include the ones by Massimo Troisi, the late Neapolitan director and actor. Daniele last tweeted on January 1st, in which he said he was back home.